Even police are shocked that store clerk Edu Wachumura chose to forgive. 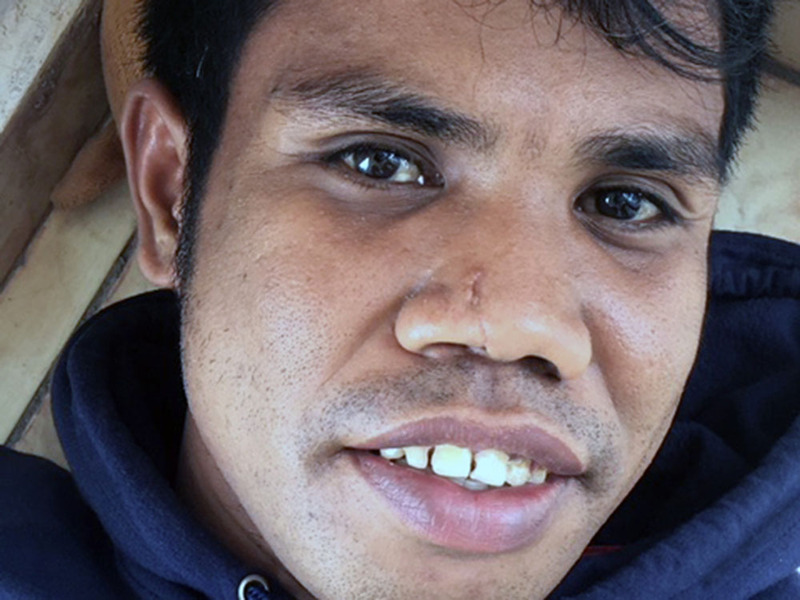 The would-be killer of a Seventh-day Adventist store clerk won’t face punishment after East Timor authorities accepted a decision by the clerk to forgive rather than seek justice in the attack. 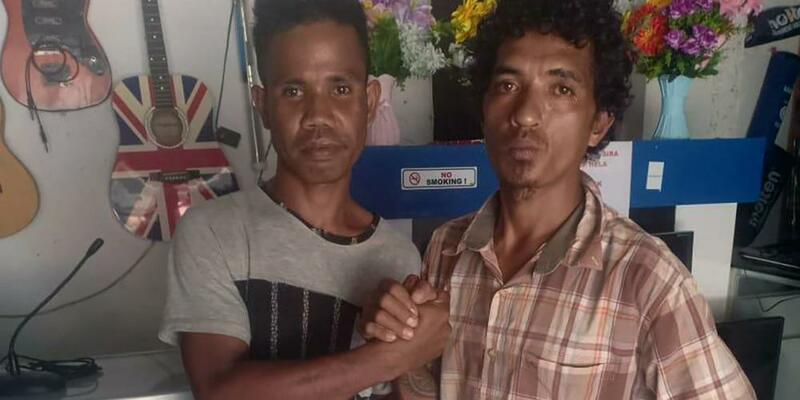 The case has shocked the East Timor town of Lospalos, where retribution is common, and even the police have expressed disbelief that store clerk Edu Wachumura chose to forgive. The attacker, Juvinil Ananias, thrust a spear through a store door in a drunken attempt to kill Edu in 2017. The spear miraculously only nipped the tip of Edu’s nose. 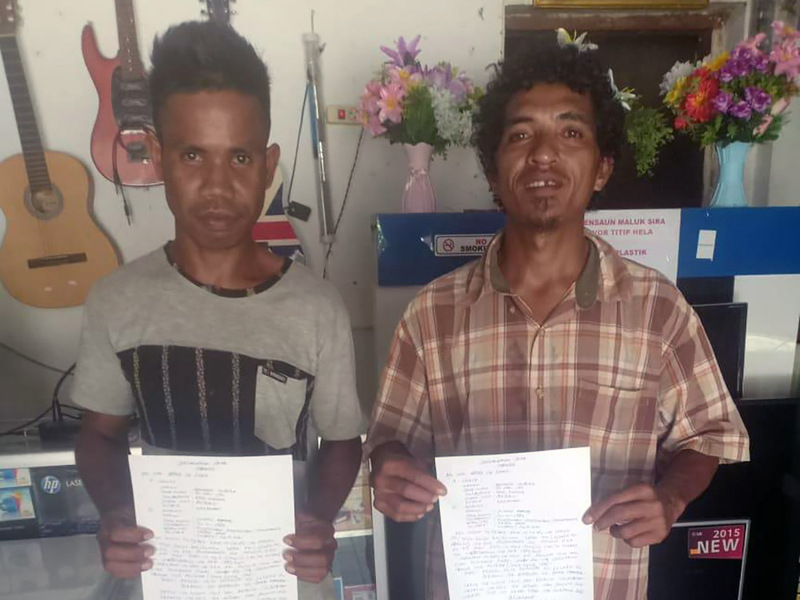 Edu met Juvinil at a Lospalos police station on March 20, 2019, and signed a declaration to forgive him. Juvinil quietly expressed his remorse for his actions. Juvinil offered to slaughter a pig and throw a feast in Edu’s honor, but Edu declined, explaining that he doesn’t eat pork. Police officers watched incredulously as Edu signed the paper in their presence. “You should at least give a gift or a cow to Edu,” an officer told Juvinil. But Edu dismissed any need for compensation. The two men were to deliver the document to court on March 21, formally ending any possibility that Juvinil would face punishment. Edu joined the Adventist Church after taking Bible studies from Zelindo João Lay, the store owner, who shared details and photos from the police station meeting with Adventist Mission. Read Zelindo’s own remarkable conversion story here and here. The attack, which was featured as a Sabbath School mission story in fourth quarter 2018, started when Juvinil drunkenly stumbled into the store and swore at 28-year-old Edu, who was working behind the counter. Juvinil also mocked the Seventh-day Adventist Church. Edu, a quiet and unassuming man, didn’t like the Juvinil’s words and gently scolded him. Juvinil angrily threatened to kill Edu but backed off when he saw the other customers in the store. “I’m going to kill you tonight,” he snarled as he headed out the door. That night, Edu heard a knock on the double metal doors at the back of the shop. 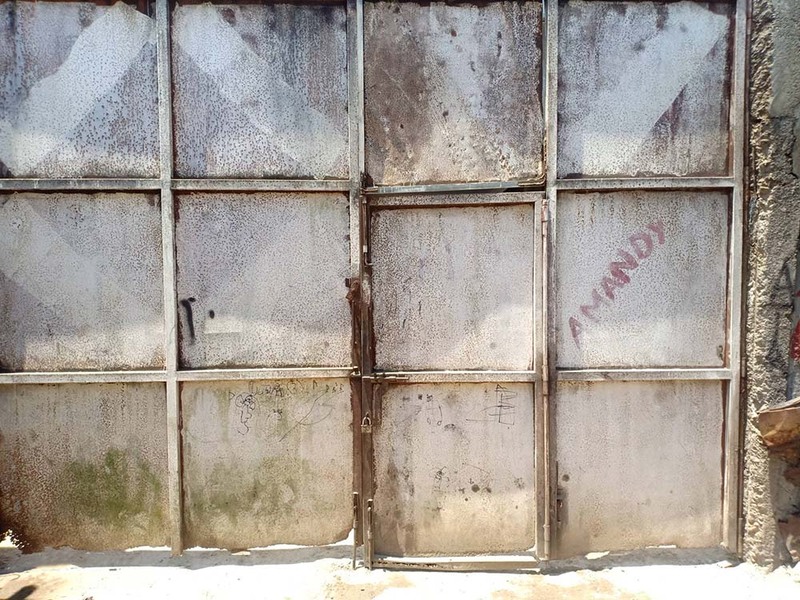 He went over to the doors, which were locked and chained together, and looked between them to see who was outside. At that moment, a spear plunged through the doors. In a split second, Edu raised an arm, diverting the course of the spear. The tip of the spear sliced the end of his nose. The store owner, Zelindo, found Edu in the hospital a short time later. Edu’s family already was standing around the hospital bed, heatedly discussing plans to kill Juvinil. Zelindo, an Adventist leader in the community, didn’t like how the family was talking, and he turned to Edu, who was lying in the bed. Edu knew the answer. As part of his job, he was required to attend weekly Bible studies with Zelindo. He remembered hearing about Matthew 18:21-22, where Peter asked, “Lord, how often shall my brother sin against me, and I forgive him? Up to seven times?” Jesus replied, “I do not say to you, up to seven times, but up to seventy times seven” (NKJV). “Seventy times seven,” Edu said. Two days later, Edu showed up at the shop to work. Zelindo urged him to go home and rest, but Edu insisted that he felt well. After a short time, the police came to the shop to ask Edu whether he wanted the attacker to go to jail. Edu shook his head. “I’ve forgiven the man,” he said. The police detained the attacker anyway and put him in jail for a week. But then they let him go. The lengthy legal process played out until this week, when Juvinil was officially declared forgiven by the authorities. Zelindo has encouraged Edu to invite Juvinil to church on Sabbath. 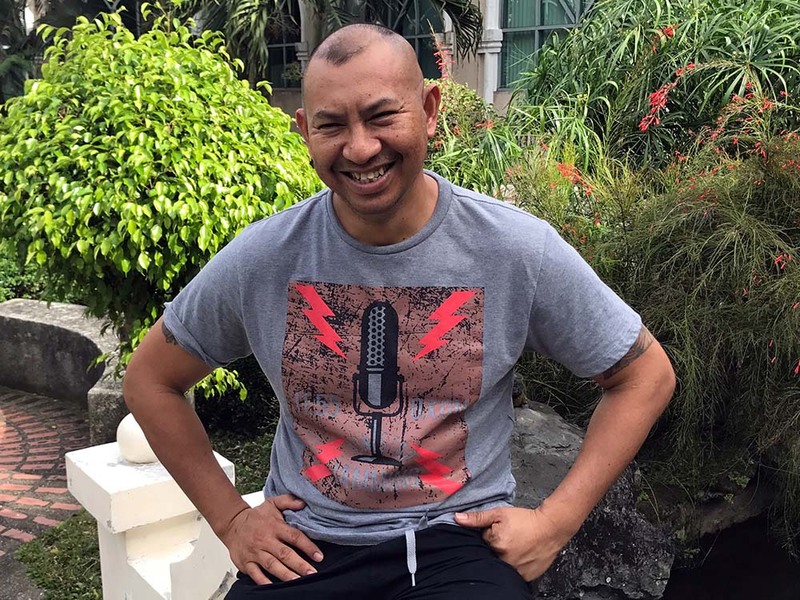 Zelindo hopes that the stunned local community will understand that God also wants to forgive them — just as Edu forgave Juvinil after the 2017 attack. Following the attack, Edu’s brother And and sister were baptized, and Zelindo hopes many more people will follow their example. “Everyone is talking about Edu’s decision to forgive, and no one understands it,” he said in an earlier interview. “It is the power of God. ‘Great Controversy’ Miracle in Finland At the height of Timo’s confusion about Revelation, the book arrived at his parents’ house.